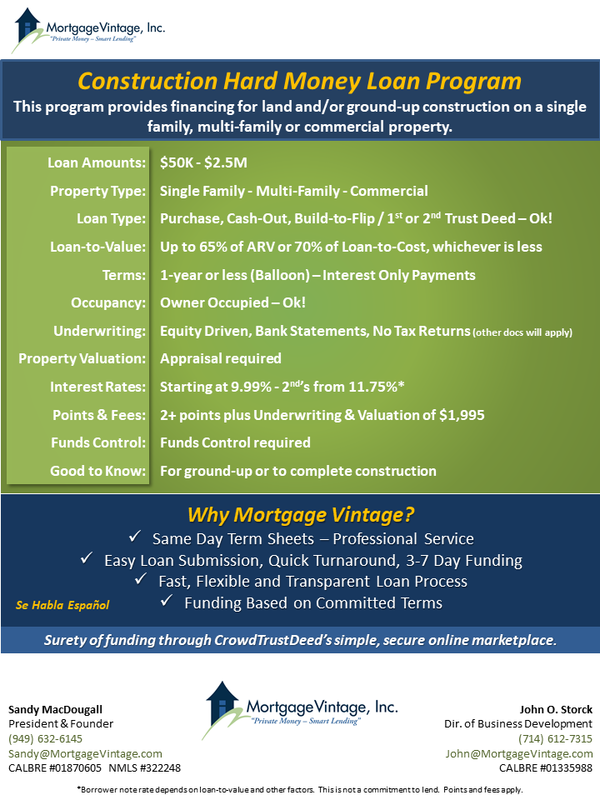 This loan program provides funds to finish construction on a single family, multi-family or commercial property. We will lend up to 75% LTV of the combined cost of the land and construction, not to exceed 65% ARV. Funds Control required on construction funds. If borrower owns the land, we will lend up to 25% of the land value and 75% of the construction cost, not to exceed 65% ARV. Funds Control required on construction funds.